Megamantics on The Duck : Megamantics #83 - Season Finale! 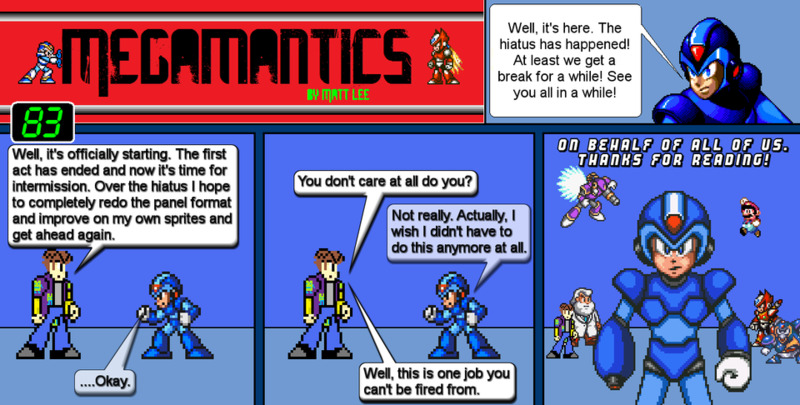 Megamantics #83 - Season Finale! This is it! 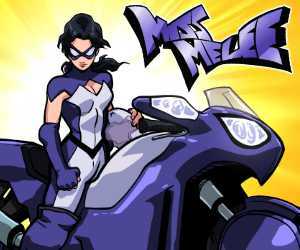 No more Megamantics for a while! Maybe a month or more. Sorry but it has to happen. Don't worry! I'll be back with a whole lotta new stories and a better set of Matt sprites! Won't that be nice?!? Don't ask how long because I don't know. Maybe a month or a little more. And the haitus starts... NOW! Well, I'm not going anywhere. It's only this comic. I have other comics, ya know.